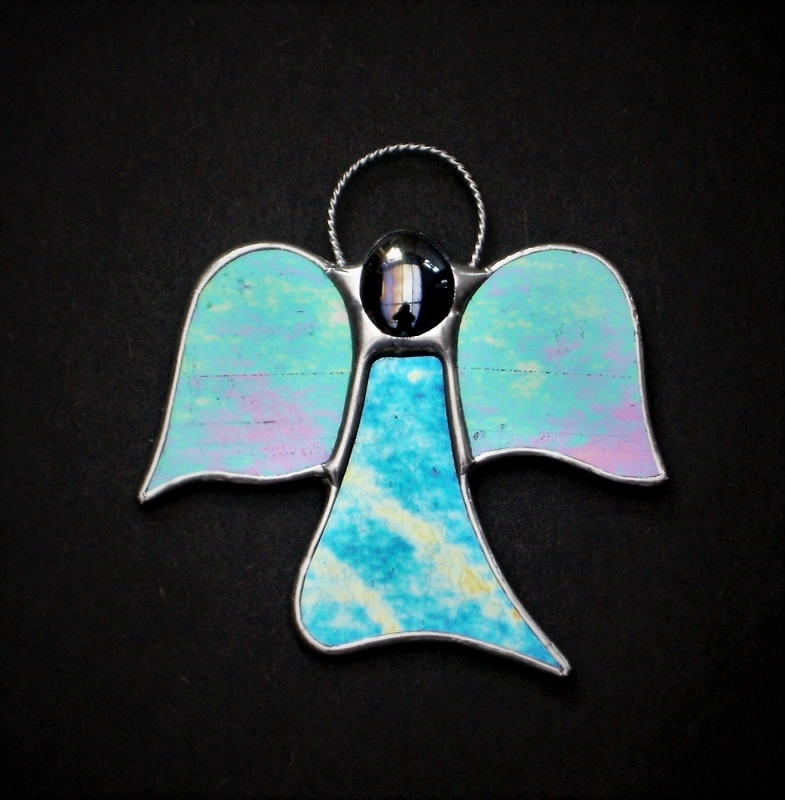 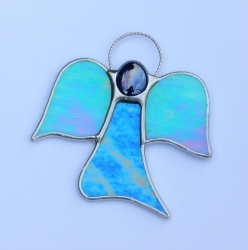 Beautiful stained glass abstract designed hanging window ornament (Angel) has been handcrafted and designed by myself using the traditional copper foiling method. 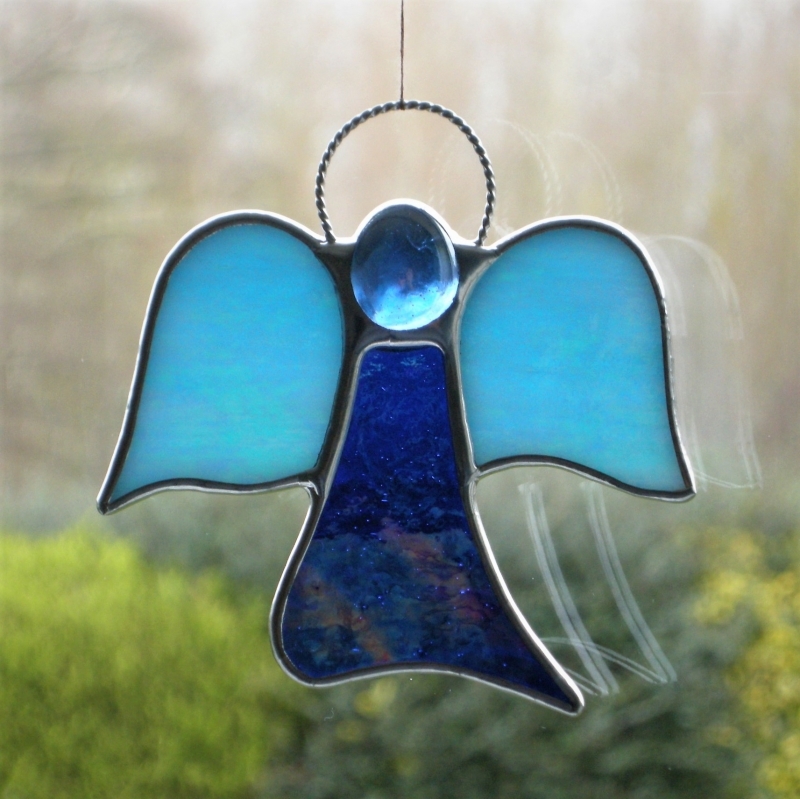 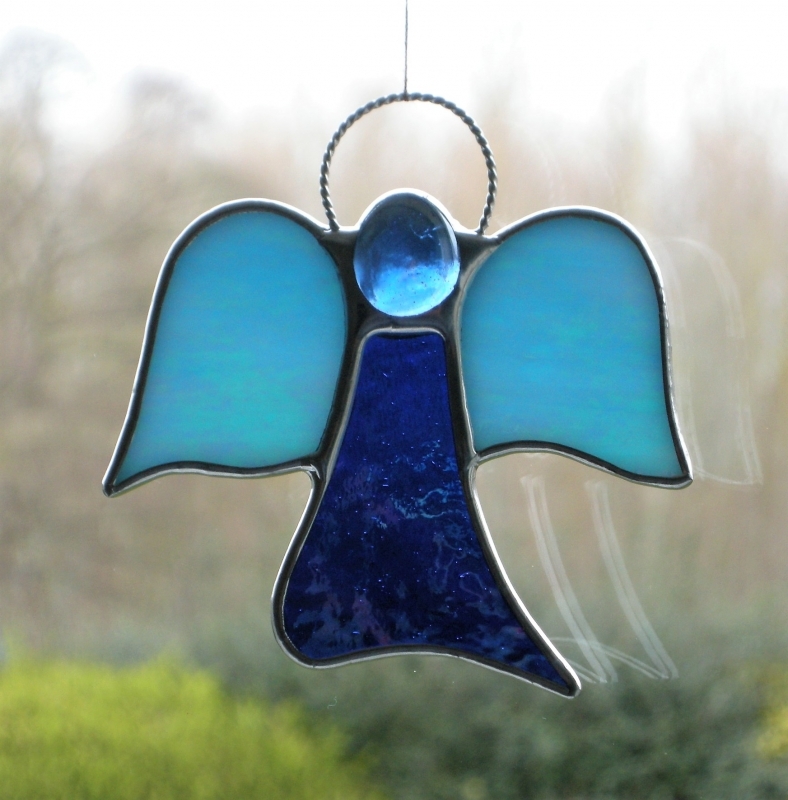 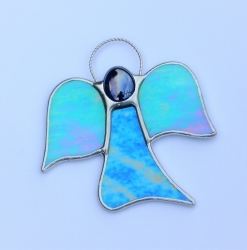 The design is effective with the glass colours (two different blues iridescent opalescent glass) and textures of the glass used. 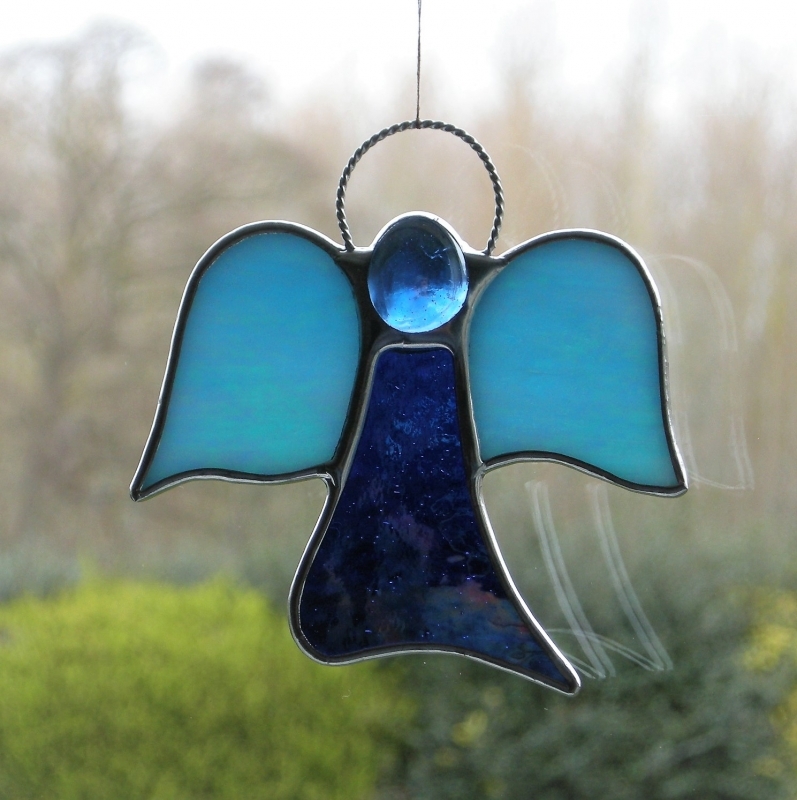 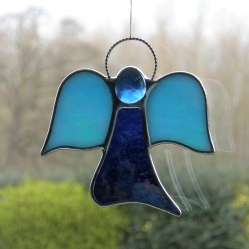 A glass glob (blue) forms the head of the Angel. 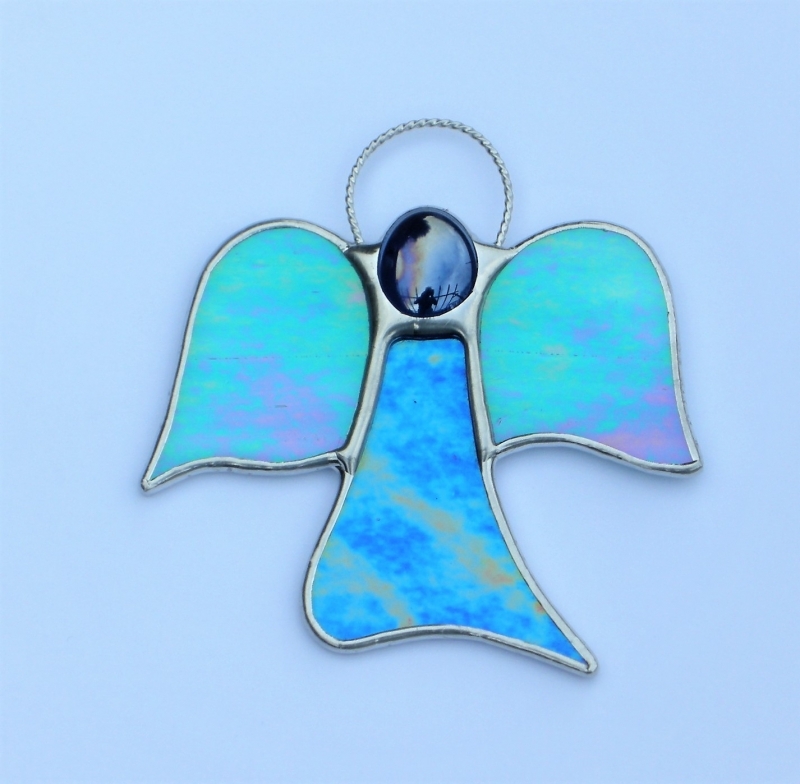 I have taken several pictures to show the effect of the reflections of the iridescent glass textures, on different paper backgrounds and up against a window in natural light.....all in different positions.